David V. Young passed away peacefully on Saturday, December 22, 2018 after a brief illness. Beloved by his wife of 64 years, Barbara; their children; Charles, Susan, Larry & Laura, (8) grandchildren & (8) great-grandchildren. A service will be held on Saturday, January 12, 2019 at 1:30 pm at Good Shepherd Episcopal Church, 818 University Blvd. West, Silver Spring, MD 20901. In lieu of flowers, donations may be made to the Jared Young Music Scholarship at Salisbury University. Please call the SU Foundation at 410-543-6175. David V. Young was born December 10, 1932 in Newton, Massachusetts to Harold F. Young and Ruth E. Pillman-Young. He had 2 half siblings, Norman and Muriel, who were much older from his father’s first marriage, but he was raised as an only child. In his youth he enjoyed playing tennis and became an avid stamp collector, eventually specializing in German stamps. He started taking clarinet lessons in the 3rd grade and played in the marching and dance bands and orchestra at Newton High School. He also played the saxophone. In his youth, his family vacationed to Pocasset Heights on Cape Cod every summer where he swam, fished and enjoyed sail boating. In the Fall of 1950, at age 17, he went off to Worcester Polytechnic Institute, a small engineering school. He thought he wanted to major in physics, to become a nuclear physicist, and tried to do so for 3 years. Eventually he learned that his forte was in math. Unfortunately, WPI did not have a math program so he transferred to Northeastern University, a large 5-year co-op college in Boston. At Northeastern, he went to classes for 10 weeks and then worked for 10 weeks. 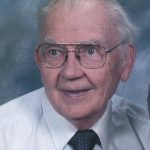 It took him 2 years to graduate but by the time he did with a Bachelor of Science in 1955, he had practical experience in the computer field as that was his co-op job, working at the John Hancock Life Insurance Company. In August 1955, he enlisted in the Air Force. Basic Training was at Sampson AFB in Geneva, NY. He remained there an additional 3 months to be trained as an Instructor and was then sent to Shepherd AFB in Wichita Falls, TX where he spent 6 months as a clerk before getting transferred to the data processing school as an Instructor. He spent the entire 3 remaining years of his tour in that capacity ultimately attaining the rank of Airman – 1st Class. He was awarded the Air Force Commendation Medal for Outstanding Service as an Instructor of Officers and for the design of the Officer Training Curriculum. Dave had a very successful career in computers having fell into the field by “dumb luck” when he was at Northeastern. He truly was one of the pioneers in the field and found it interesting, challenging and he was good at it! He worked for various companies starting in 1959 with RCA and went into business for himself as a computer consultant from November 1984 until he retired at the end of 1997. He had a long-term contract with the Household Goods Carriers Bureau and their successors. He also did some Expert Witness testimony in Federal Court on Record Keeping in the trucking and moving industry. Dave’s marriage to his wife Barbara on July 24, 1954 was the true highlight of his life. The 2 met on a blind date when Barbara’s college roommate got married. Less than 4 months later they were engaged and married 6 months after that in Grace Episcopal Church in Massapequa, NY. When they were married, Dave was still in college at Northeastern and he claimed that Barbara really took a risk on him!! They lived in the Chestnut Hill area outside of Boston while he finished college. After the various moves with the Air Force, they eventually settled and remained in Silver Spring, MD. Dave and Barb had 4 children – Charlie (Carol), Sue (Joe), Larry (Wendi) and Laura (Barry Jr.). It seemed every time Dave was transferred in the Air Force or moved, another baby was on the way. Through their love, devotion and companionship for each other, they taught their children to be honest, compassionate, hard working and to do their best at whatever they chose to undertake. The family continued to grow with 8 grandchildren and 8 great grandchildren. Dave and Barb enjoyed travelling and were often on the go visiting their children. Their favorite spot to vacation was Blowing Rock, NC where they spent 5 weeks every Summer. He had a habit of picking up the accent of wherever he was which could often lead to an awkward moment or two. Dave enjoyed telling jokes, working crossword puzzles, photography, playing bridge, cross stitch and most recently becoming very involved in genealogy. He made the best hamburger on the grill there’s ever been!!! Over the last several years, he had made a cross stitch for each of his children, their spouses, his grandchildren and just recently for his grandchildren’s spouses which were emotionally opened this Christmas. Dave will be remembered for being a devoted and loving husband to Barbara, a provider for his family, a teacher, a giver of opportunity and encouragement. He was very proud of all his children, and his wife and children were equally proud of him. Dave wrote in 2002 that he felt he “had been spared most tragedies and while there have been adversities, tomorrow has always come”.